Noting that "the web was built specifically to share research papers amongst scientists," Josh Nicholson and Alberto Pepe report on the dismal state of the web for accessing the most-cited scientific papers across the literature -- 65 of the top 100 most-cited papers being behind paywalls. But the situation is shifting -- nearly half of the citations to these papers come from open access journals that are free to read. 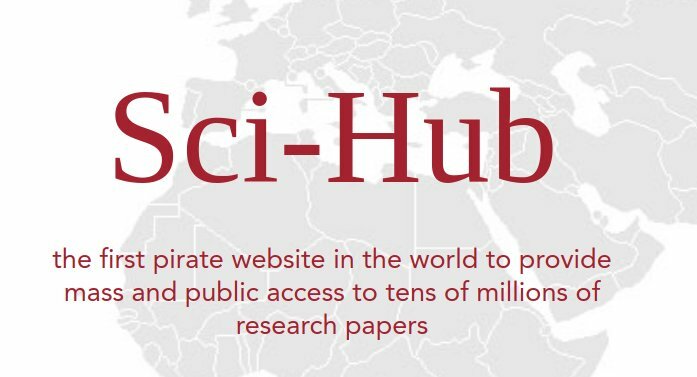 A website called Sci-Hub was created to serve as "the first pirate website in the world to provide mass and public access to tens of millions of research papers," inspired by the prosecution of Aaron Swartz for downloading scientific papers over MIT's network. Last week, the American Chemical Society (ACS) won a default judgment against Sci-Hub ordering it to be shut down and its assets transfered to ACS, and ordering hosting providers and search engines to block Sci-Hub. However, Sci-Hub is located offshore and out of reach of the US court, and the ACS has made ambiguous statements to the effect that they will not attempt to enforce the order against mainstream search tools. 1. The weighted average of all the paywalls is: $32.33 , rounding to the nearest cent. 2. There are 1,088,779 citations of the Open Access articles, so, if they cost the same on average as the Paywalled articles and were paid for individually, they would cost a total of: $35,199,108.44 ​–that’s 14 Bugatti Veyrons, or enough to buy everyone in New York City a Starbucks Tall coffee and chocolate chip cookie. In comparison, the total amount for the paywalled articles, assuming everyone bought the paywalled articles individually, is $54,722,252.80. 3. That’s 23 2323​ Bugatti Veyrons, or enough to buy everyone in New York City a footlong from Subway. 4. Although 65% of the most cited papers are paywalled, only 61% of those paper’s citations are from paywalled journals. Thus the open access articles in this list are, on average, cited more than the paywalled ones.